To accommodate the beginning of Passover, I decided to upload this week’s episode of ITSM a day early. 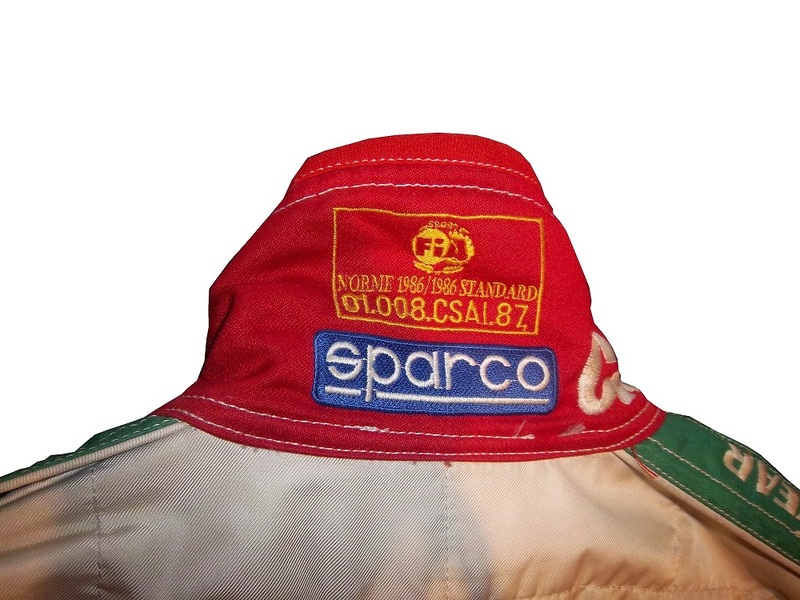 We look at Another old school NASCAR helmet, this one worn by Tracy Leslie, will be examined. I am a uniform enthusiast. That has never been in question. 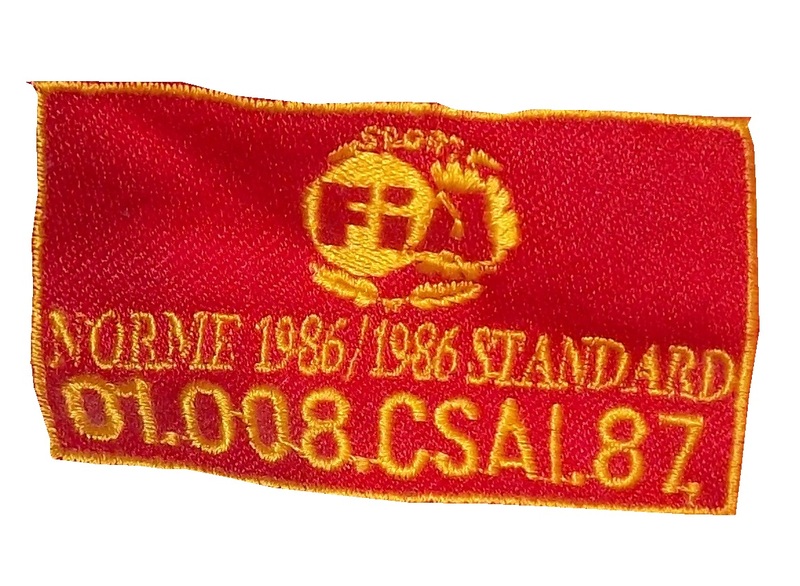 I have always loved sports uniforms, and have a large number of them in my personal collection. I happen to have a 1976 Dennis Eckersley throwback jersey. I made a decision concerning this jersey that even a few people who know me might not understand. 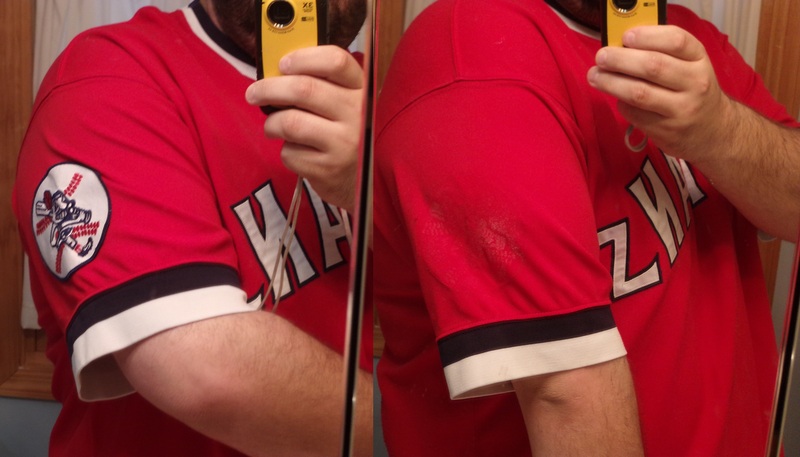 I decided to remove the Chief Wahoo patch from the left sleeve. This is in response to a recent discussion concerning Native American team names. Do we keep the Native American name and imagery despite the fact that many people find them offensive, or do we change the Native American name and imagery and change the tradition of the teams? Basically I have decided to “de-Wahoo” my jersey for a number of reasons. Obviously since it is a racial issue, it was an easy decision, but this is a bit more personal for me. The first trip I went on was to Brainered Minnesota in March 2001, where we, in conjunction with Habitat For Humanity worked on houses for a week on the Mille Lacs Reservation. We got to know the locals, we conversed, and I had a great time and grew as a person. That was the first of what turned out to be many trips. Established in 1855, the Mille Lacs Reservation is located about 100 miles north of Minneapolis–Saint Paul, at the at the southern end of Mille Lacs Lake and composes about 60,975 acres. It is home to many of the Mille Lacs Band of Ojibwe as well as the Mississippi River Band of Chippewa Indians. My second trip took place in November 2001, two months after the 9/11 Attacks. We flew during my winter break to San Carlos Arizona, and spent two weeks in the San Carlos Apache reservation. It was supposed to be that each of us would spend one week working in the classroom at St. Charles School, where we were also staying, and one week working on fixing a house. As fate would have it, I had messed up my ankle before we left, and I was unable to work on the house. I spent two weeks working in the 2nd grade class at St. Charles. It was, without a doubt, the most meaningful thing in my life. The reservation is located in southeastern Arizona, was established by President Grant in 1872, is on 2,910.7 square miles. It is bigger than the state of Rhode Island, which has 1544.89 square miles. It is located in a remote desert area, surrounded by a ring of mountains. There are areas of the reservation where non-Native Americans are not allowed to go, and then there are areas where no humans are allowed to go. The area is very economically poor, with many people barely able to make ends meet. Initially I was nervous, having no experience in working with 2nd graders, but those fears would be unfounded, as I worked with the kids well. There were bout 20 kids in the class, some more rambunctious than others. I worked with them, helped out in the classroom, and got to know them, and their culture. I was able to accompany a group of dancers to a show in a shopping mall, and for many of these kids, this was the first time they had ever been to a mall. They had never been on an escalator before, and it took a bit of coaxing to get them to use it. Those children were a perfect example of the human spirit. These kids came from little money, but they were proud of who they were and had hope for the future. Two weeks went by and we had to go back to Chicago, but I still carry part of San Carlos and Brainered in my heart. That is why I decided to de-Wahoo my jersey. My experiences in Minnesota and Arizona were so influential, and I have too much respect for the Native American to keep an image like that on a uniform. I have also made the decision to no longer wear my Chicago Blackhawks jerseys for the same reason. F1 implemented in 2014, a series of regulations designed at making the sport more eco-friendly, or so they say. Engines are also now supercharged, and a redesign of the bodywork has that regulates that the nose of the car is much lower. Since during the off season teams were not able to observe each other, each team showed up to the Australian Grand Prix with a different nose design. These new regulations also had the effect of making the engine sound somewhat quieter. This change in engine noise did not go unnoticed, and many fans complained. There was even discussion of a lawsuit for failing to deliver what was promised by the promoters. I’m a racing fan, and I understand that the sound of the engines is a huge part of the ambiance of the event. I get it. But at the same time, engine changes are going to happen. Engines will evolve. In fact, if you were to take an F1 engine from 2004, and put it in a current chassis, the car would not be competitive. I get what engine noise means, but sometimes you have to take the bad with the good. The racing has been better this season, and I personally will take the lower engine volume for the better racing. One other rule new to the 2014 F1 season is a new mandate that the last race of the F1 season, the Abu Dhabi Grand Prix will have double points, to keep the championship points battle alive. What I’d like to see, is for the last TWO races, The Brazillian Grand Prix and the Abu Dhabi Grand Prix to have double points. I think that the last two races having double points would have a major impact on the championship, and would bring more spectators, both live and on television to the event. A few more things from F1, first the United States Grand Prix in Austin Texas has been moved from November 9 to November 2 to accommodate a Texas A&M football game. What this does also is to move the race away from the season finale of the Sprint Cup Series season. This will give it more visibility in the United States, since it does not have to compete as much with NASCAR for attention. My favorite change in 2014 is that Williams F1 switched to Mercedes engines, and got Martini as a sponsor. They have utilized a very attractive vintage scheme. God that is a beautiful scheme! I get that in recent years that rookie classes have been lackluster. I get that. Rookie classes can be legendary, like 1979 with Dale Earnhardt Sr., Terry Labonte and Harry Gant, or embarrassing, like 1990, with, Rob Moroso, Jack Pennington, Jerry O’Neil, and Jeff Purvis. I also get that there hasn’t been a decent rookie class since 2006. That said, this rookie class, is not as good as the broadcasters like to talk about. Let’s look at each driver individually, and try to understand why they are in the Sprint Cup Series. Gonna do this in no particualr order, and we will start with Parker Kligerman. He was decent in the Truck Series, with 25 top 10’s in 50 races, with 1 win. He finished in the top 10 in HALF of the races he started in! Ok, so he moves to the Nationwide Series, and falls to 18 top 10’s in 51 races. Ok, still not bad, but he does not have a win. He has raced since 2009, so he raced in 51 races in 4 years. Um…you think he needs some more padding? He has some talent, but it needs to be developed. Unlike some of the other drivers he has some potential. Cole Whitt is next. Not one win in any of the Big 3 Series. Like Kligerman, he has 18 top 10’s in 51 races. Unlike Kligerman, he was bland in the Truck Series. He’s an underwhelming driver in an overwhelming series. To top that off, he signs with Swan Racing! Swan Racing is to NASCAR as the New York Mets are to baseball…a total embarrassment. No top 10’s, and they have led 5 LAPS IN 3 YEARS! 5 LAPS IN 56 RACES! THEY AVERAGE A LEAD LAP EVERY 11 RACES! They are a total embarrassment to auto racing! Michael Annett is one of the more underrated drivers, in my mind, in this rookie class. He has a lot of potential, and I think that with the right team, he might win a few races, but I don’t think he will do much more than that. Again, no races won in any of the big series. BK Racing made the perplexing decision to fire two veteran drivers and replace them with rookies. I don’t disagree with hiring rookies, but Alex Bowman, and Ryan Truex don’t have the results to warrant the move. Again, why do teams insist on moving inexperienced rookies with minimal exposure to the schedule to the Sprint Cup? Now Kyle Larson on the other hand, is a contender. He has a Truck Series win, and a Nationwide Series win, and in 10 Sprint Cup starts, he has two top 10’s, including a 2nd place finish. He was one bad restart away from winning the race. I think this kid is a contender for the championship. Even when he doesn’t win, he is strong behind the wheel, and I think he is one of two contenders for the Rookie of the Year. The other contender is Austin Dillon. In 55 races, he has 5 wins, 34 top 10’s and won the Truck Series Championship in 2011. When he moved to the Nationwide Series, he had, in 77 races he has two wins, 53 top 10’s, and won the championship in 2013, without winning a race. In 19 Sprint Cup races, he has a top 10, and I think he is the front runner for the Sprint Cup Rookie of the Year. So of the 7 contenders for Rookie of the Year, we really only have two contenders. I get it. I really do not want to hear any more about the rookies, so guys, please, stop talking about them! Austin Dillon #3 Bass Pro Shop Chevy SS Camo and orange never work, and this is the worst example I have seen yet. Why can’t the #3 Bass Pro Shop car look like this? This is an F scheme, and I’m being polite! Justin Allgaier #51 AWX Performance Plus Chevy SS Great color scheme and a great design scheme earn an A grade. 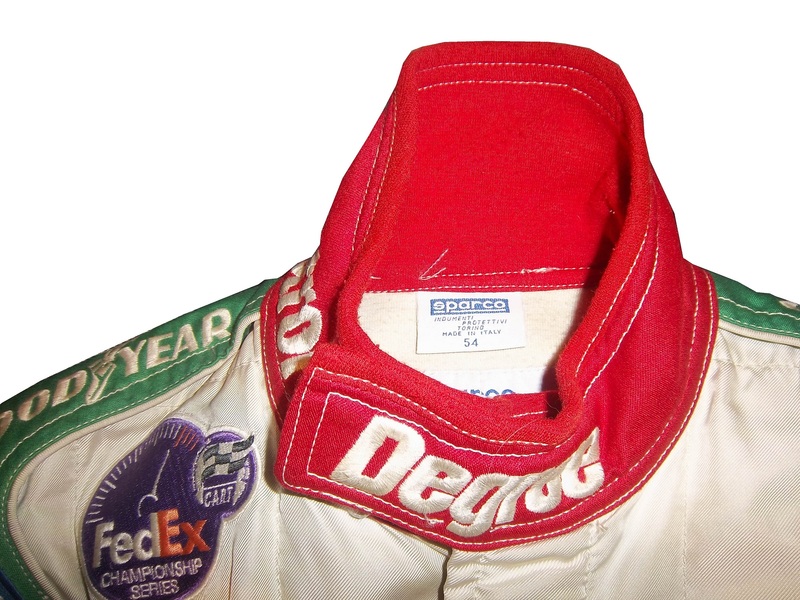 This week, on Introduction to Sports Memorabilia, we examine a helmet worn by former NASCAR driver Richard Lasater, worn during his horrific crash at Talladega in 1993. The helmet did its job and he was able to walk away. While I typically watched NASCAR growing up, I did also watch IndyCar. That was before “the split” which diluted the value the sport so much that to this day it is still suffering, 6 years after the unification of Champ Car and the Indy Racing League. I got tired of politics and wanted to watch racing, I didn’t care who was sanctioning it. 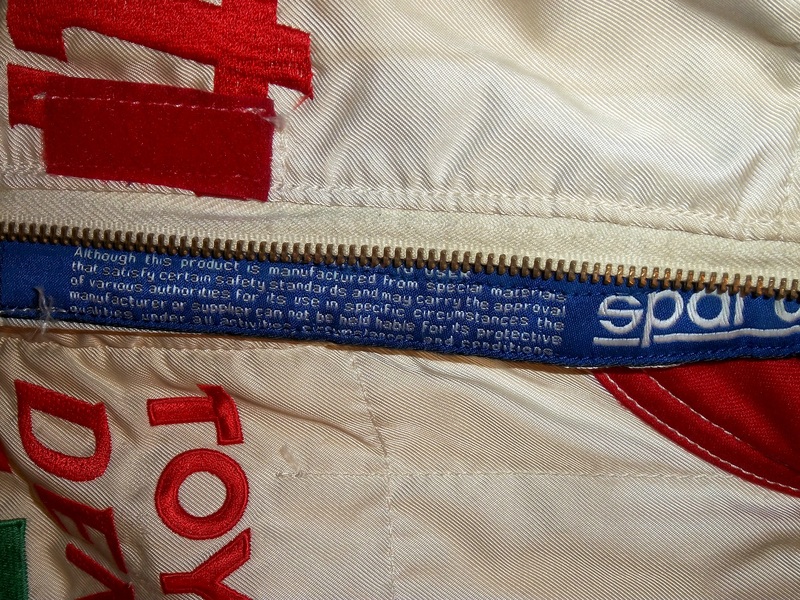 I still watch IndyCar racing and I collect race-used stuff. I mentioned this a few months ago, when I discussed video matching. 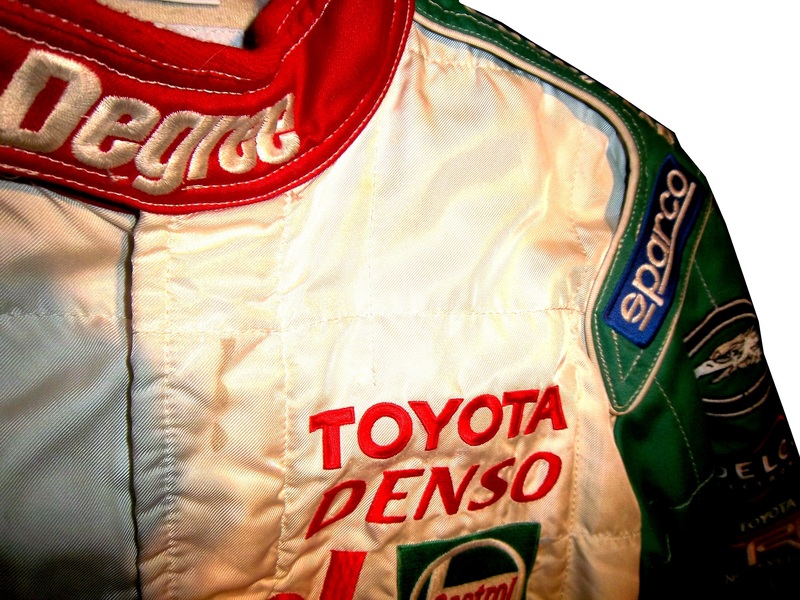 My first open wheel driver suit is this Alex Barron suit from 1998.
and logos for Toyota and Denso. 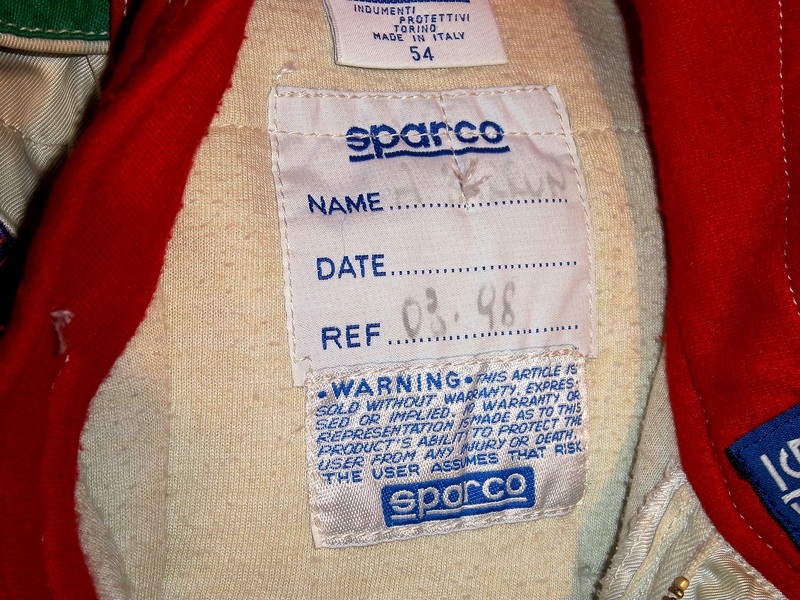 This being my first Sparco driver suit, The cowl tags, and location of the warranty tags were out of place, as compared to a NASCAR driver suit. One thing I do find interesting is that there are no television logos on the sleeves and legs, but as the video at the end shows, that was not uncommon, but more on that later. 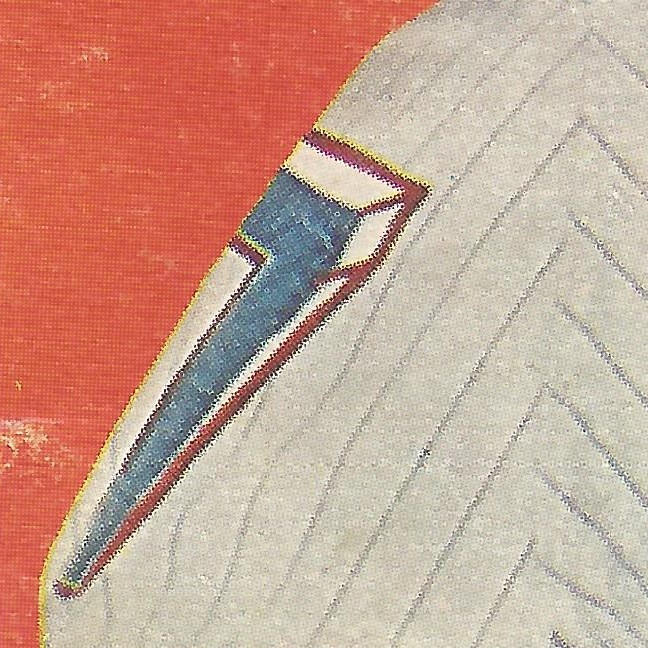 The collar has an unusual design. 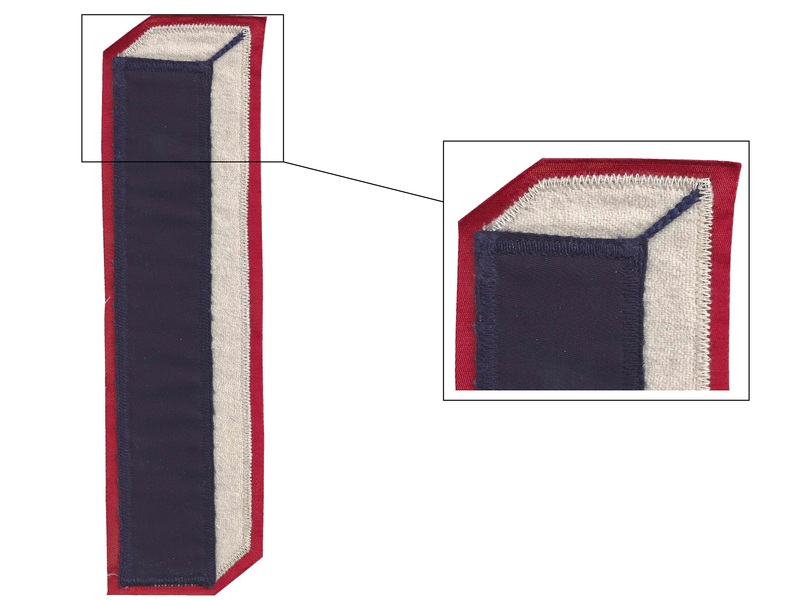 Most collar designs feature either logos on the side, or logos across the front, or sometimes both. 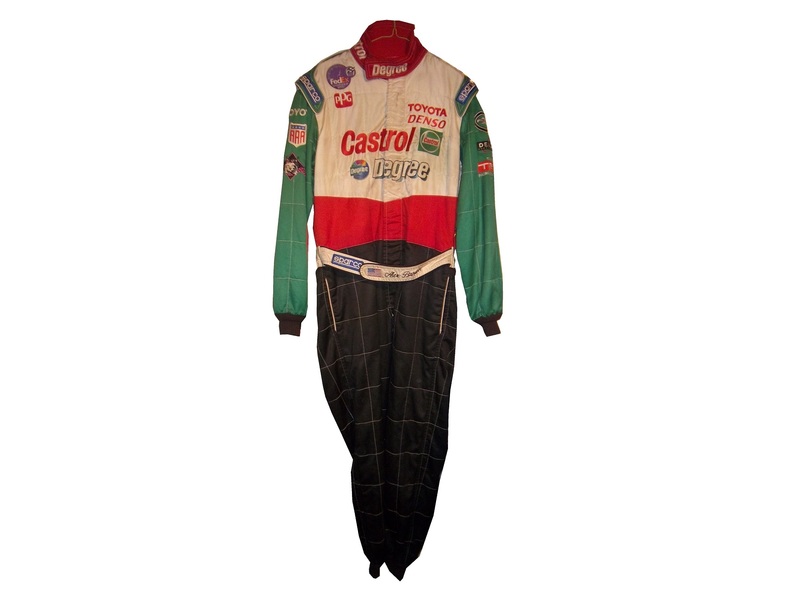 This one is unique in that it features a DEGREE logo on the front, as well as a CASTROL logo on the right side, but nothing on the left side…I’ve never seen that before or since, and I can’t understand the need for that particular design…it just looks odd. 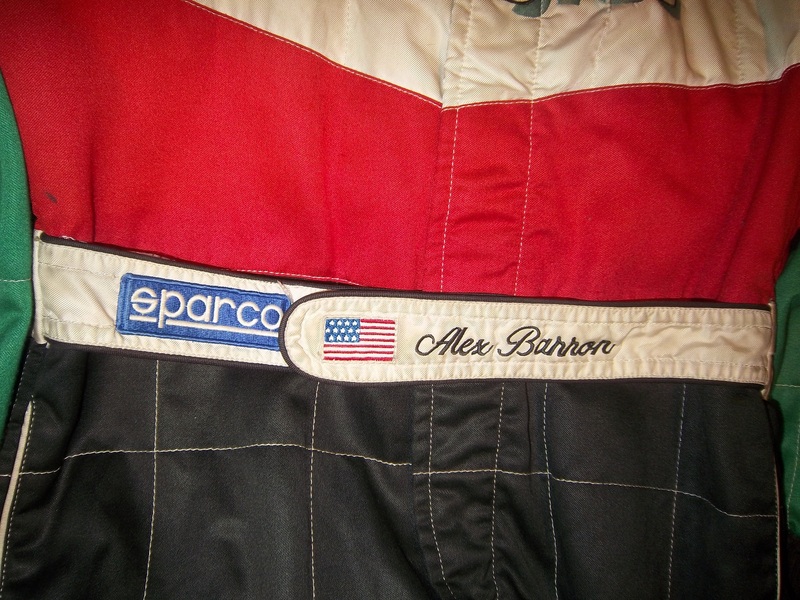 Alex’s name is embroidered into the belt, and something I love about open wheel suits is that because it is an international sport, much more so than NASCAR, the driver usually has their home country flag embroidered next to their name on their suit, as this suit shows. I also have a 1/18 die cast of Barron’s very sharp looking car from 1998. It is the only die cast I have that has a driver in it. I love the fact that he is wearing a very accurate version of his driver suit. 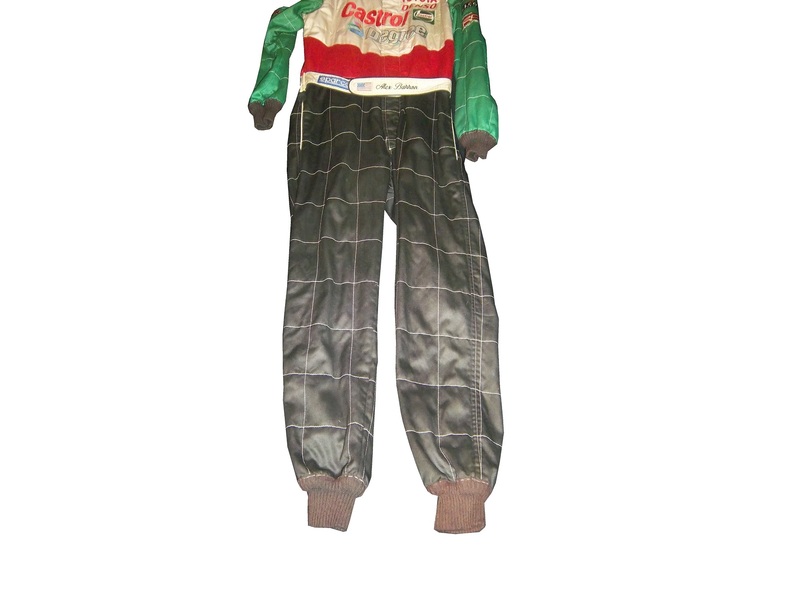 Now as I mentioned, this was the suit Barron wore during his most infamous moment, his crash at Road America, where he wound up on top of Bryan Herta. Someone recently uploaded the whole race to YouTube, and when watching it, notice that nobody has logos for the in-car camera. 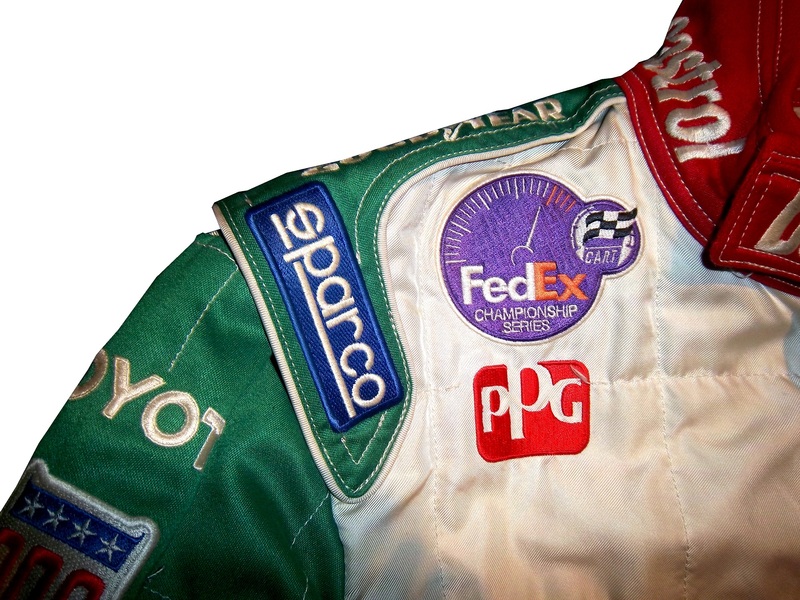 I find that rather interesting, since it would be very easy to place logos on the sleeves, and it was commonplace in other forms of racing. But it is an interesting race. Now we have another piece of news to discuss. In the realm of NCAA sports, the two major factions in uniforms are Nike and Under Armour. Nike has a deal with Denny Hamlin for driver suits, and I was wondering when Under Armour would jump on the band wagon, and this week, we got our answer. Under Armour, who has signed deals with Michael Waltrip Racing and Henrdick Motorsports to outfit teams with apparel. This deal does not include the drivers themselves but the car numbers are fair play. I find it a bit unusual that the deal provides apparel for all members of the team, pit crew members, front office personel, and everyone EXCEPT the faces of the franchises. Now that might change in the near future, but for now that is how the deal works. You can read more about the deal here. Greg Biffle #16 Give Kids A Smile Ford Fusion Man! Greg Biffle really wants the Paint Schemie Awards for Most Degraded Paint Schemes, and Worst Paint Scheme Set with another F scheme. Horrible design, and an ugly paint scheme. Ryan Newman #31 Quicken Loans Billion Dollar Bracket Challenge Chevy SS I understand what they tried to do, but the scheme as a whole is just bland, boring, and C+. Michael McDowell #95 Triangle Office Equipment Levine Family Racing keeps up the fight with Swan Racing to win the Most Improved Paint Schemie Award with another beautiful A+ scheme! Albie Pearson played baseball in the Major League from 1958 to 1966. He played for the Washington Senators, Baltimore Orioles, and Los Angeles/California Angels. He was selected to the 1963 MLB All-Star game in Cleveland where he was a starter. Pearson was one of 3 outfielders to start the game, beating out Carl Yastrzemski, and Harmon Killebrew as starters. He is most well-known for his phenomenal 1958 rookie season, which he won the American League Rookie Of the Year honor, as well as The Sporting News Rookie of the Year Award. 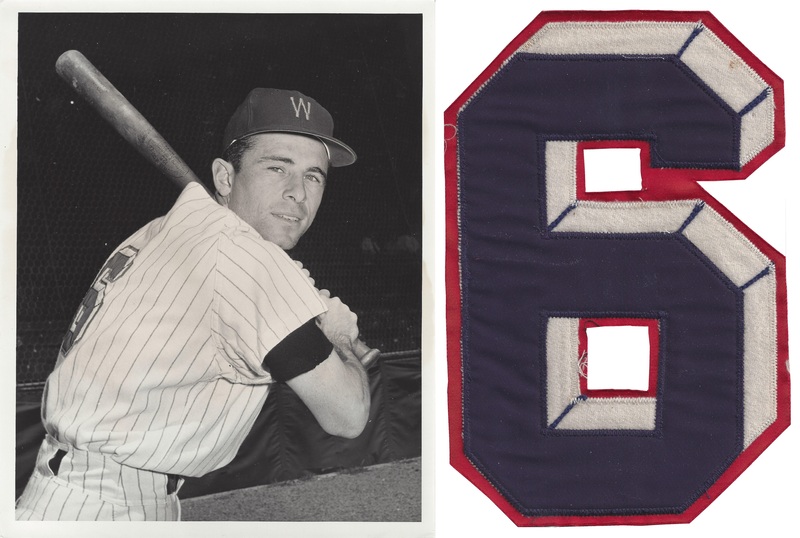 This is the number 6 that Albie Pearson wore on his home jersey during his 1958 Washington Senators rookie season. It matches the Eddie Yost number design exactly. I also found a photo of him wearing this number on the back of his jersey. 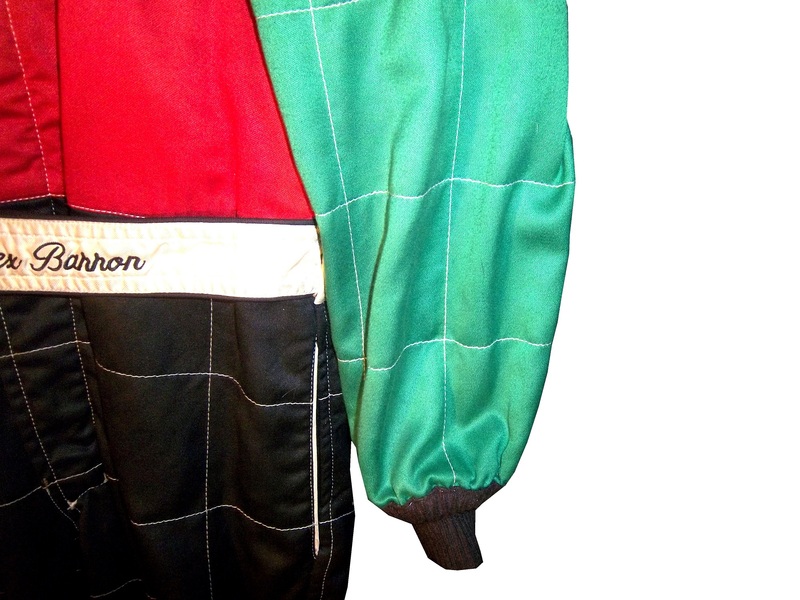 Now when I do research on an item, photo matching is paramount. One of the first and best places to find photographic evidence is trading cards. So I looked up his rookie card. I found it was a 1958 Topps Card, specifically card #317. When I saw the card, I was shocked. What was so shocking? Let’s take a closer look… Huh? Pearson isn’t wearing #6, instead he is wearing a jersey with a number 7. When compared to the photograph above, it also appears as though it is a two-digit number. I could not understand how something like this could come to pass, and felt it warranted more research. It would seem likely that he wore a different number in training camp. I wanted to go to the source, and ask Mr. Pearson himself. Pearson did not spend any time in the minors for Washington, so that can be eliminated as the cause. He was traded to the Senators in January 1958. Through some more research, I learned that since his retirement, Albie Pearson has founded churches and orphanages in Zambia and Ecuador. He founded Father’s Heart Ranch, an 11 acre ranch for abused, abandoned and neglected 6-12 year old boys. He lives on the ranch and is in charge of day-to-day operations. 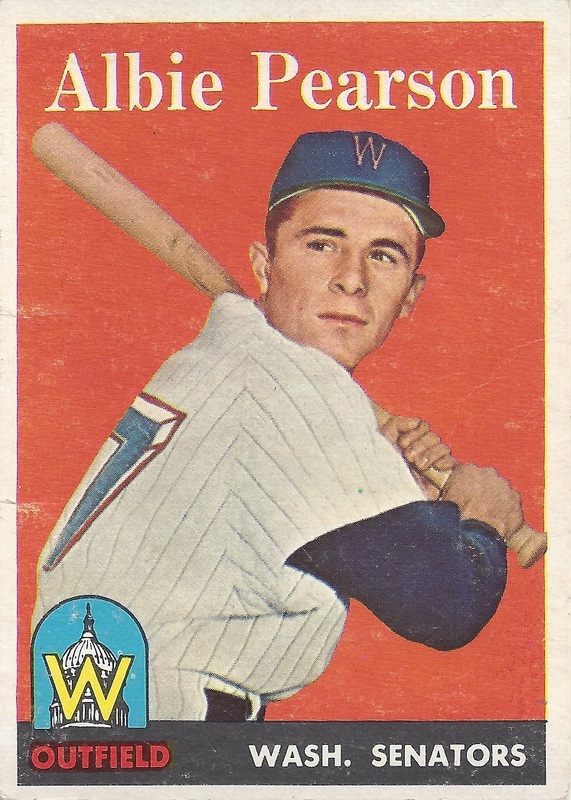 I contacted Albie Pearson about this through Father’s Heart Ranch\,and I got this response.. “…I believe the #7 which you see on my rookie card was the number I wore during spring training with the Washington Senators. I cannot recall if the number was 37 or 7 that I wore during spring training. 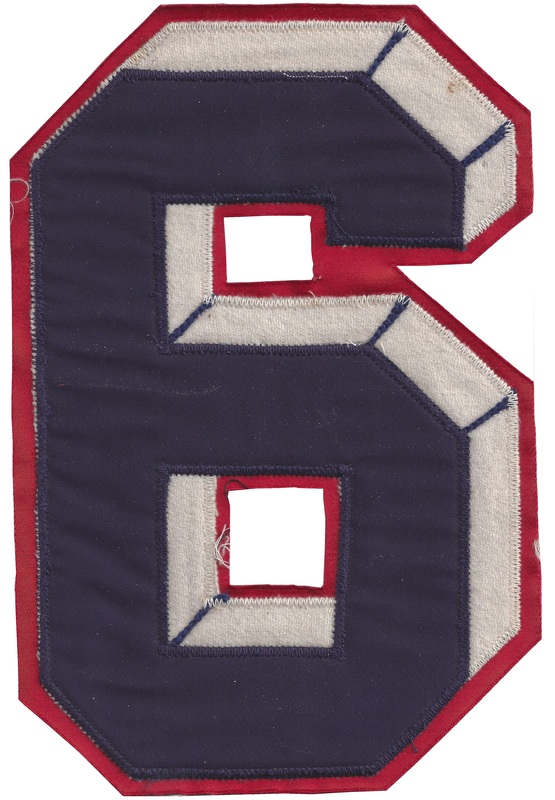 My true number that I wore when I was rookie of the year was #6.” Based on this insight, I checked baseball reference, and found that #7 had been assigned to Bobby Malkmus in 1958 for 25 games and #37 wasn’t assigned to any player in 1958 or 1957. Based on this, it appears that Pearson is wearing #37 in his Topps rookie card. I have never seen this number design anywhere else. I don’t even think that there are throwback jerseys with this design. So I felt it proper to analyze these number for all to enjoy. 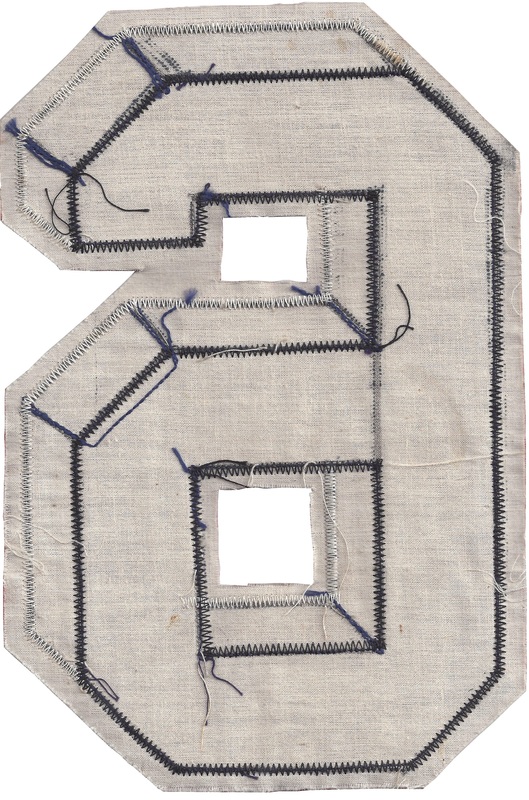 In fact, this is one of my favorite sub-genres in the memorabilia hobby, jersey numbers. Next edition of Vintage Item Spotlight, we will examine these numbers even closer. 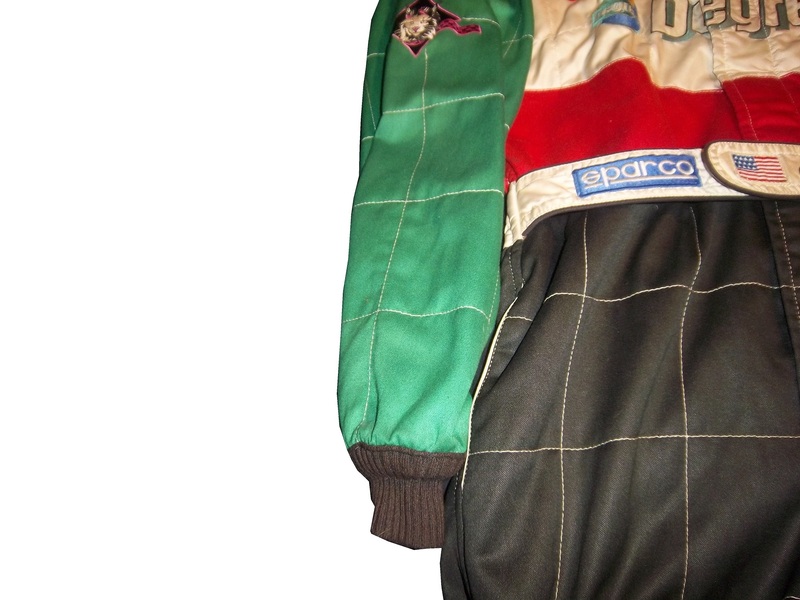 The Driver Suit Blog-BREAKING AUTO RACING NEWS! While the racing world is divided amongst those who are in favor, and those who are opposed, both NASCAR and F1 are convinced that this new partnership will increase fan interest for NASCAR internationally, and F1 in the United States.